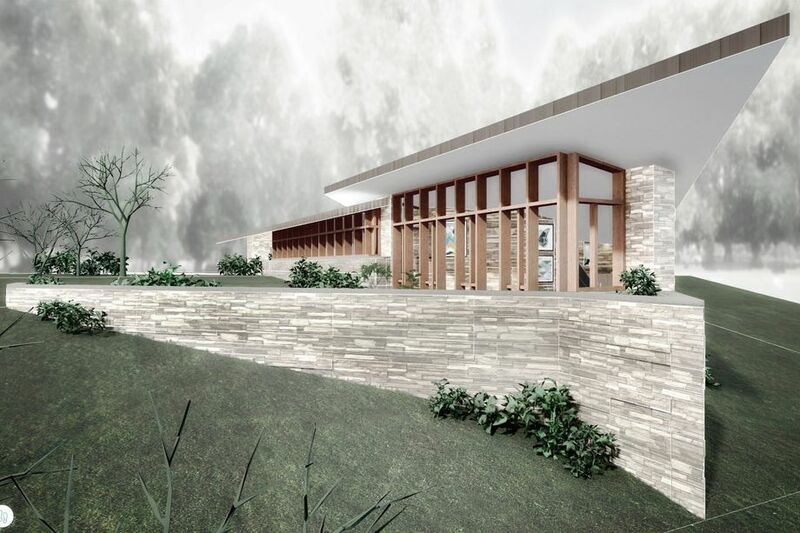 Considered the final residential design Frank Lloyd Wright completed before his death on April 5, 1959, the unbuilt Riverrock Home was the second commission Wright finished for Ohioan Louis Penfield. The unrealized project also offers Wright fans a unique chance to not only own, but to construct, their own bit of architectural history: the original plans, and the specific land for which they were designed, are both still for sale. Riverrock was to be a sibling of sorts to the 1955 Penfield Home, a private residence in in Willoughby Hills, Ohio, a suburb of Cleveland, that’s one of the rare Wright residencesavailable for rent. Louis’s son, Paul, said visitors book nearly 300 nights a year, with rates starting at $275 a night. While it’s one of a number of Usonian designs Wright created throughout his lifetime, the home also breaks a few rules. Designed to accommodate Louis, a 6-foot-8-inch high school art teacher who Wright said was “tall as a weed,” the residence, now on the National Register, features a 12-foot high ceiling and floating stairs without risers. These details give the interior a sense of openness and vertical space rarely found in relatively compact Wright homes. Paul later restored the home and helped finish a series of built-ins initially designed by Wright, but left unfinished during initial construction due to cost overruns. Designed for a perch atop a rise near the Chagrin River across from the existing Penfield Home, the never-realized Riverrock home would have featured a long, jutting roofline, akin to a boat or other vessel. 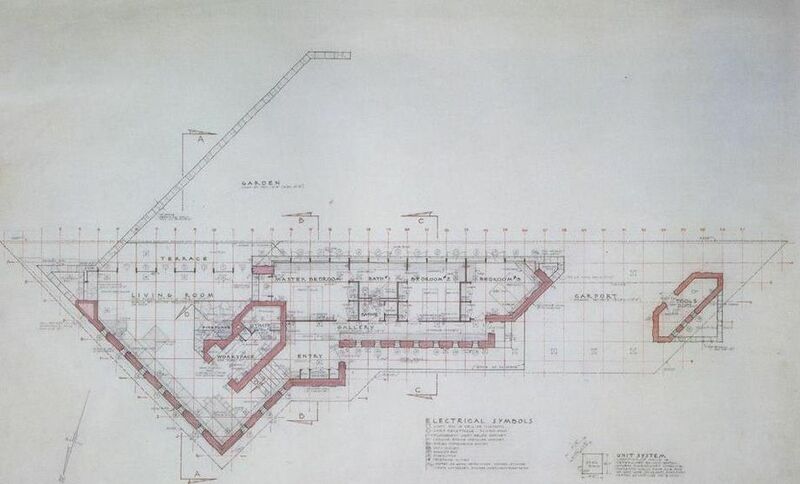 The initial plans for the home, numbered Taliesin 5909, arrived at the Penfields the week of Wright’s funeral (it was conceived right after the Norman Lykes home, a curvaceous private home in the foothills near Phoenix). It was to be built of stone gathered from the riverbed. 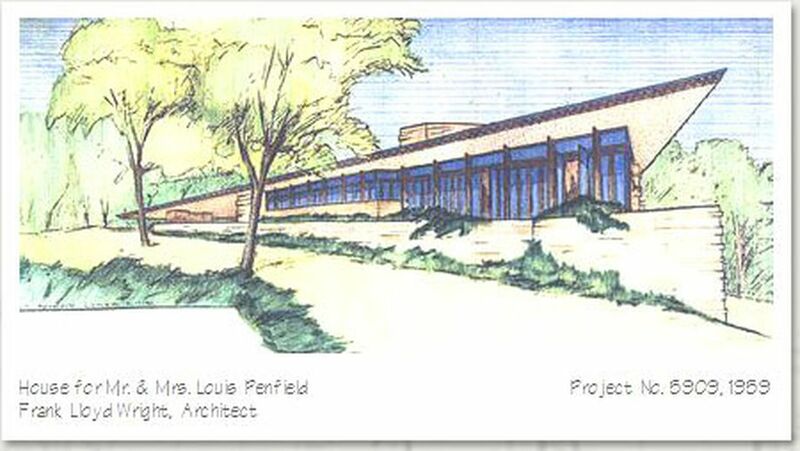 At one point about a decade ago, Paul Penfield attempted to sell both the rights to the plan and the 10 acres of land on which it was meant to be built for $700,000, calling it the “last available original building site for an unbuilt Wright home,” but the recession chased away any potential buyers. Currently, it appears the entire 10-acre Penfield property—including the finished 1955 home, the lot and unbuilt Riverrock blueprints, as well as a cottage and farmhouse—can be had for $1.7 million. 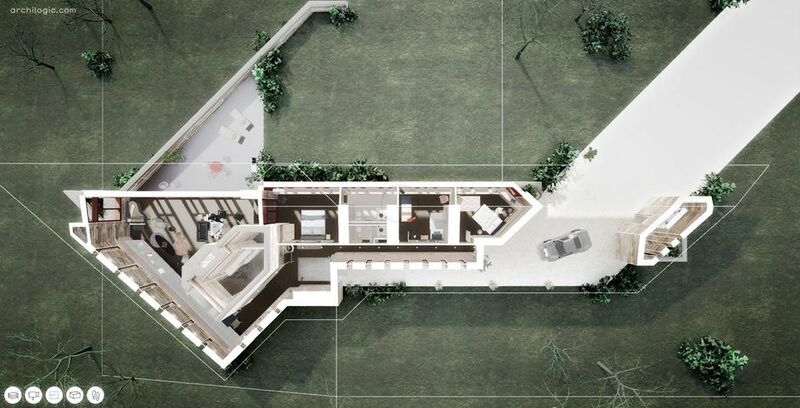 This virtual tour was created by Archilogic, a firm that specializes in creating 3D models for architecture and real estate, and allows users to upload floor plans and create their own virtual tours. 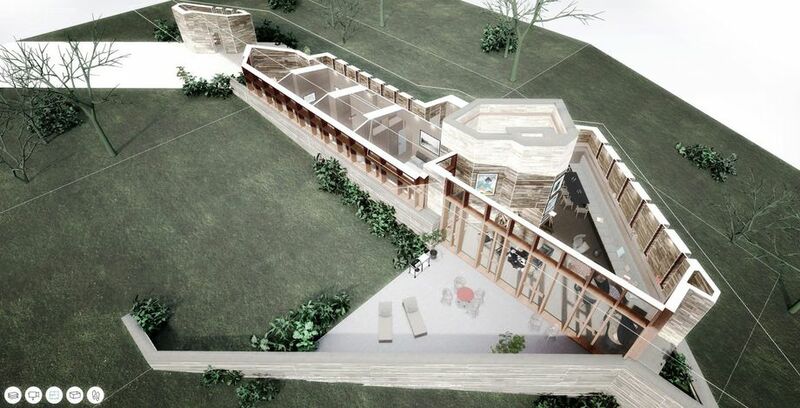 Check out other tours of unbuilt Frank Lloyd Wright projects, including the Ralph Jester House and the Dr. Hugh Pratt Home. Archilogic also released spaces.archilogic.com, which allows users to create their own virtual tours by signing up here.